Offering superior toughness, strength, impact resistance, and temperature resistance, acrylonitrile butadiene styrene (ABS) is used in a wide range of industries and applications, from automotive to piping. ABS combines the strength and rigidity of acrylonitrile and styrene polymers with the toughness of polybutadiene rubber. ABS is easily molded and provides a colorfast, glossy effect with a high-quality surface finish. This plastic polymer has no exact melting point. ABS materials can be processed using any of the standard thermoplastic processing methods. It easily adheres to itself, similar plastics, and metal coatings, making it well-suited for a range of different products. For instance, it’s frequently used in appliances, telephone handsets, computer and other office equipment housings. ABS can also be used in musical instruments, golf club heads, medical devices, lawn mower covers, motorcycle helmets, canoes, toys, enclosures for electronics and electronic assemblies, luggage, interior and exterior automobile trim, showerheads, and handles. When extruded into a filament, ABS is ideal for use in 3D printers. ABS does not have good chemical resistance, however, and should not be used in applications requiring electrical insulation or UV resistance. Celcon® is a common brand name for acetal, also known as polyoxymethylene (POM), polyacetal, or polyformaldehyde. This thermoplastic offers outstanding toughness, excellent wear, creep resistance and chemical solvent resistance, easy colorization, good heat distortion, and low moisture absorption. Celcon® also provides high stiffness and excellent dimensional stability. Ideal for food and beverage, mechanical, automotive, and household applications, this is our resin of choice for manufacturing toy parts, as well as various gears and bearings. It works especially well for plastic gears, as it greatly minimizes the friction resulting from contact. Celcon® is frequently used in “point-of-contact” pieces, parts that physically touch another surface. Common point-of-contact pieces include those used on the bottom of couches to allow for smooth sliding across the floor, as well as guitar picks, pinch valves, and plastic buckles. This versatile thermoplastic is also used in bearings and bushings, pump and valve parts, manifolds, jigs and fixtures, wear pads, and electrical components. It should not be used for applications in high-heat environments, however, and is subject to UV degradation. 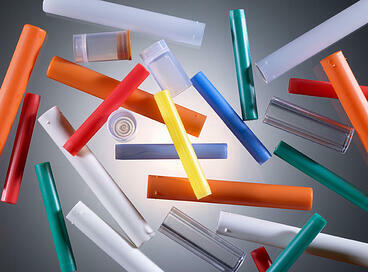 Polypropylene (PP) is one of the most widely produced plastics in the world. It’s known for its chemical resistance, elasticity and toughness, fatigue resistance, insulation properties, and transmissivity. Although flammable and vulnerable to UV radiation, polypropylene still offers good resistance to chemical solvents and electricity. A diverse range of applications makes use of polypropylene, as it can be easily customized by introducing special additives or altering the manufacturing process. In fact, this versatile material is sometimes referred to as the “steel” of plastics since PP can be tailored to so many different uses. Polypropylene is well-suited for applications within the packaging, electrical and equipment manufacturing, household appliance, automotive, and construction industries. More specifically, PP is used for packaging solutions, buckets and bowls, plastic parts, living hinges, toys, medical components, washing machine drums, bottle caps, and textiles, among many other items. 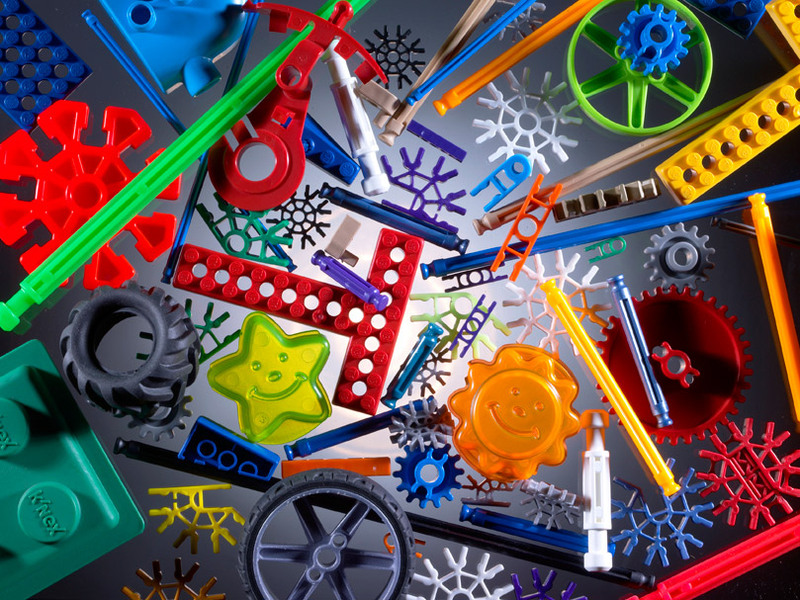 Polypropylene has a relatively slippery surface, so it’s possible to use PP as a substitute for other plastics, like acetal, in low-friction applications, such as gears and furniture contact points. Most grades of polypropylene are flammable and subject to degradation by UV radiation. High-impact polystyrene (HIPS) provides good impact resistance, excellent machinability, fine dimensional stability, outstanding aesthetic qualities, and highly customizable surfaces. HIPS can be printed, glued, bonded, and decorated easily. It’s also very cost-efficient. High-impact polystyrene is used in many print applications, such as promotional signs, display materials, garden stakes and tags, posters, and retail packaging, as well as 3D lenticular or moving images. In fact, HIPS is specially formulated for use in graphic arts applications. HIPS is also ideally suited for high-speed digital printing equipment. Other common uses include appliance components, TV and audiovisual (AV) equipment parts, bicycle trailers, toys, gasoline tanks, hot and cold drinking cups, and computer housings. Although HIPS is flammable, flame-retardant varieties are available. The most flexible type of polyethylene, low-density polyethylene (LDPE) offers superior moisture resistance, high-impact strength, good chemical resistance, and translucence. A low-cost option, LDPE is also weatherproof and can be easily processed with most methods. Low-density polyethylene is used in a wide range of everyday products and applications. It can be found in many consumer goods and housewares, for example, as well as medical products, agricultural products, and electronic wiring. This versatile resin is found in shopping bags, plastic film and packaging, bottles and containers, lids and caps, six-pack rings, computer components, juice boxes, and toys. And with more and more people recycling bags and wraps, LDPE products often get a second life in items such as shipping envelopes, garbage can liners, floor tile, paneling, furniture, compost bins, trash cans, and landscape timber. LDPE is difficult to bond, however, and should not be used in harsh weather or high-temperature applications. Selecting the right material from the start will not only save you time and money, but it will also help ensure optimal product performance and manufacturability. So research your options carefully, and consult with an experienced plastic injection molder to help determine the ideal choice. 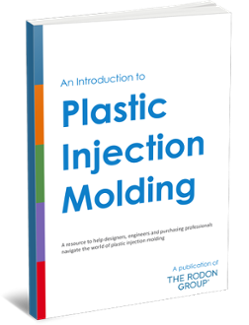 To learn more about plastic injection mold materials and plastic injection molding in general, check out our free eBook, “An Introduction to Plastic Injection Molding,” or reach out to the team today for help in choosing a plastic injection molding material.